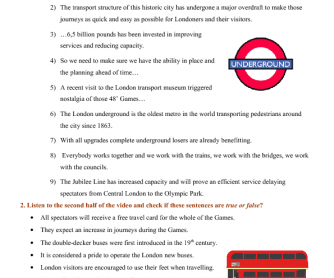 This is a worksheet featuring a youtube video report on transport preparations in London ahead of London 2012 Olympics. 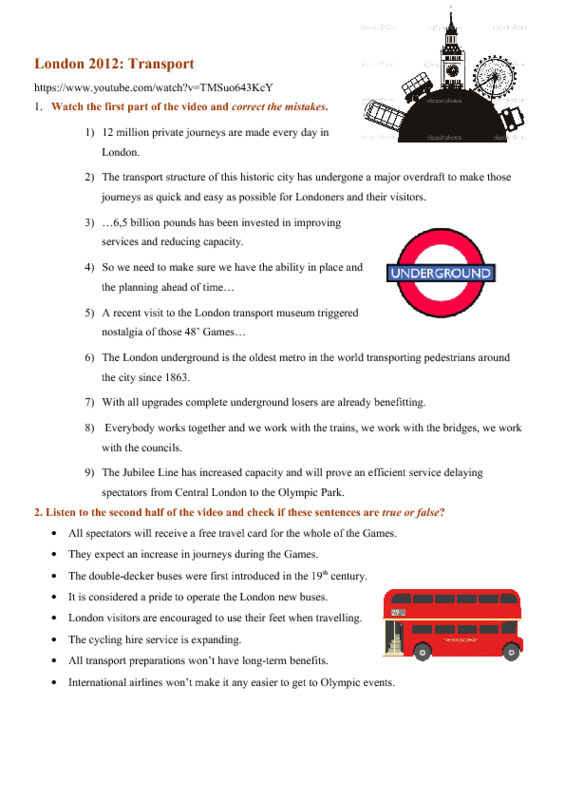 It is intended for intermediate students and above and can trigger discussion on transport problems in big cities and their possible solutions. It consists of 2 comprehension exercises. It's advisable to watch twice. Enjoy!